In A.D. 2031, humans are enjoying a prosperous existence until strange life forms called Hardians appear. They suddenly begin to multiply and assault the human population. As a countermeasure, mankind organizes the N.I.D.F. to investigate the Hardians and protect themselves. 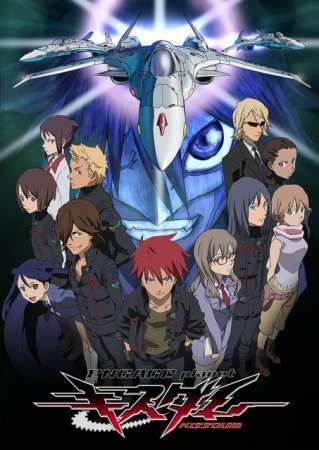 A fighter pilot, Aiba Shu, begins to become involved in the battle against the lifeforms. Rurika Yuno, one of Earth's foremost scientists, investigates the Hardians and hears rumors about the "Book of a Dead Man." What is the secret of this tome, and what relation does it have to the Hardians? Now, the fight for mankind's survival begins.